1. In the ongoing saga of Bethany vs. wearables, I would like to submit my latest grievance: my Fitbit. I started taking walks at lunchtime over a year ago (and really cannot recommend the practice enough as a way to decompress during the workday, get in a small amount of movement, and remind yourself that daylight does indeed exist during the winter – but the enjoyment I get out of lunchtime walks is another discussion for another day. ), and because they usually last 20 minutes or so, Fitbit counts them as exercise. Probably about a month ago now, I started noticing strange and, honestly, quite concerning spikes in my heart rate once or twice a week during these lunchtime walks (according to Fitbit). I’d be cruising along at somewhere in the 110-130 range–exactly what I’d expect on a brisk walk–when out of nowhere, my Fitbit stats would show that my heart rate jumped to more like 175. The first time it happened, I assumed it was a fluke. Then it continued happening, though, and I began to worry that something was wrong with my heart. It just didn’t add up, though. While walking, I never felt anything to indicate a dramatic change in heart rate. I never felt winded, fatigued, lightheaded or the sensation of my heart pounding in my chest. Additionaly, I never noticed anything remotely similar during my “real” exercise. My heart rate was in its usual 160-180 range during all of my runs, and in its usual 140-160 range during any other form of exercise. Any spikes I’d notice from those always correlated to increased effort (a hard hill on the stationary bike, for example, or a burst of mountain climbers in a circuit workout). I reset my Fitbit, and all of a sudden my heart rate graphs were back to normal on my walks…until, once again, they weren’t. I started digging a little more into the data and realized something else didn’t match up, either. Even though the exercise log for my walk would show a huge heart rate spike, I never saw any indication of that on my all-day heart rate graph at lunchtime, even though workouts later in the day would get that high (when relevant). See? It doesn’t come anywhere close to 180 around noon. This one wasn’t a lunchtime walk, but a Saturday trip to go Christmas shopping. But again, do you see the all day graph indicating anything close to 178 bpm at about 1 p.m.? Because I sure don’t. So I don’t know what the deal is. I am much more inclined to believe my actual body, particularly my pulse, than the data I’m getting from Fitbit. I just think it’s so weird that this keeps happening, and it really doesn’t do anything for my confidence in Fitbit’s heart rate monitoring capabilities. It’s not exactly a secret that Fitbit’s heart rate monitoring is hardly considered infallible (this article has some interesting comparisons), but I wish knew 1) why this is happening 2) why there is such a dramatic discrepancy between what my workout heart rate graph says and my all-day heart rate graph says and 3) how to solve all of these problems, if they’re even solvable in the first place. I’ve already registered for a late April half marathon and hoped to train for it with the intention of PRing, knowing, of course, that late April is a HUGE gamble in the weather department and that my ability to PR is going to depend heavily on favorable weather conditions. 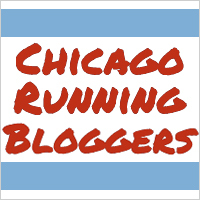 Yesterday, I got an email announcing that Chi Town Half registration had opened and will be super cheap ($49.99!) from now until Dec. 20. Given that I PRed at the Chi Town Half and given that it takes place three weeks before the race I’ve registered for and given that I’ve been invited to a destination wedding the weekend before the race I’ve already registered for (where I would most certainly not be able to get in a long run, if I can run at all), the Chi Town Half seems like a better target race. BUT. Since the Chi Town Half is three weeks before my initial goal race, that would mean I’d have to start training three weeks before I planned to begin training again. That would mean picking up regular running sooner than I anticipated and would mean being in season for three additional weeks in 2018. Given that I could barely drag myself to the finish line of this year’s training season–which was the same length’s as next year’s will be if my initial goal race continues to be my goal race–the idea of adding three weeks to next year’s season sounds…less than appealing. On top of all of that, I’m really hoping to get my wisdom teeth out ASAP in January, not because I’m so eager to go through that whole rigamarole but because I want to get that whole rigamarole done and over with before I need to start training again, because once training begins, I have much less freedom to sit on the couch for a week while my mouth heals. I mean, it’s not like I’m legally obligated to not take a week off during a training cycle, but I most certainly don’t want to take a week off during a training cycle. I don’t put myself through these months-long ordeals for the fun of it: I do it to prepare myself to have the best race possible. Obviously, there are times when you have to take a week off–you get injured, you get sick–but since wisdom tooth extraction is something I anticipate planning to do, rather than something that will be done on more of an emergency basis, so I don’t want to plan to have a week of inactivity when I’m trying to train for a race, particularly a race I want to PR. But, but, but, excuses, excuses, excuses. If anyone has any helpful suggestions, I’m all ears, because clearly all I’m doing while trying to come to a decision is my own is talking myself in circles. What races do you have on your calendar for next year? Officially, I believe I have four at this point (not including the Rock ‘n’ Rolls, since I hadn’t registered for them when I wrote this Wednesday night), but I don’t doubt that that number will get much higher. I would run the Chi Town Half. Sounds like you are super motivated to tackle it – it’s the home of your PR after all! If I had to start my training cycle three weeks earlier, I would use those extra three weeks to do mostly easy runs and just focus on building endurance. I think three weeks between halfs wouldn’t be too big of an issue. If things go south during the Chi Town, you can always treat it as a training run and slow down so you can recover more quickly in order to have some quality runs before you taper for your goal race. I knew you’d have good insight! Those are all really good points. And to be fair, I was going to start doing a few easy runs before I actually jumped into training anyway, so maybe it’s not all that unreasonable. Also, I’m registered for the F3 Half (getting nervous because I’ve been scaling back mileage due to some knee tenderness … and, if I’m being honest, due to the cold and ice), the Shamrock Shuffle, the Spartan Sprint in June and the Run Mag Mile 10K in September. I’m debating a spring half marathon. Maybe the Southwest Half in Palos Heights, since that was my first half back in 2010, or maybe something in Chicago proper like Chi Town. Or the Soldier Field 10 instead. Or the Lincoln Presidential Half because it looks cool. Ha, I have always thought the Lincoln Presidential Half looked really interesting! I’m sure my inner history nerd would LOVE the scenery. I hope your knee starts cooperating more so you can do F3! I seriously considered it this year, mostly because I thought the shirt looked awesome (#noshame haha), but training for that would’ve meant being in training for races from Jan. 31, 2017 through Dec. 8 or 15, 2018, and I could NOT handle the thought of training for nearly two full years without a single break. So no F3 for me this year, despite the cool shirt.